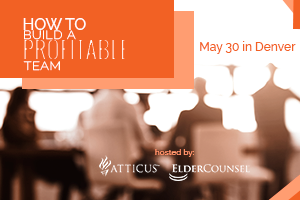 Join ElderCounsel and Atticus May 29-31 in Denver and leave with a plan to create long-term success for your firm. Register for individual days or attend ALL THREE for the ultimate experience and receive $300 off! You’ve got the basics of elder law down and are now ready for more advanced education. “Beyond Immersion” is the answer. Learn how to deal with challenges in crisis planning and proactive planning, including how to plan and draft for difficult family situations. Walk away from this workshop knowing how to create a team that grows your business. Learn when to hire an associate or non-legal team member, how to manage and motivate staff, and how to run effective meetings by giving attendees the tools to hire and manage staff that will serve as an investment in the growth of the firm, rather than an expense. 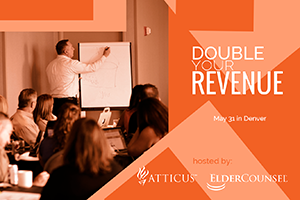 Create a step-by-step plan for doubling your law firm’s revenue, which will identify and organize the most effective money-making ideas generated at the workshop. 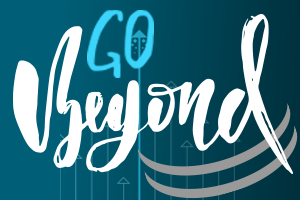 Law firm owners experience a breakthrough in how they view running a practice, and leave excited and determined about the growth potential for their business.